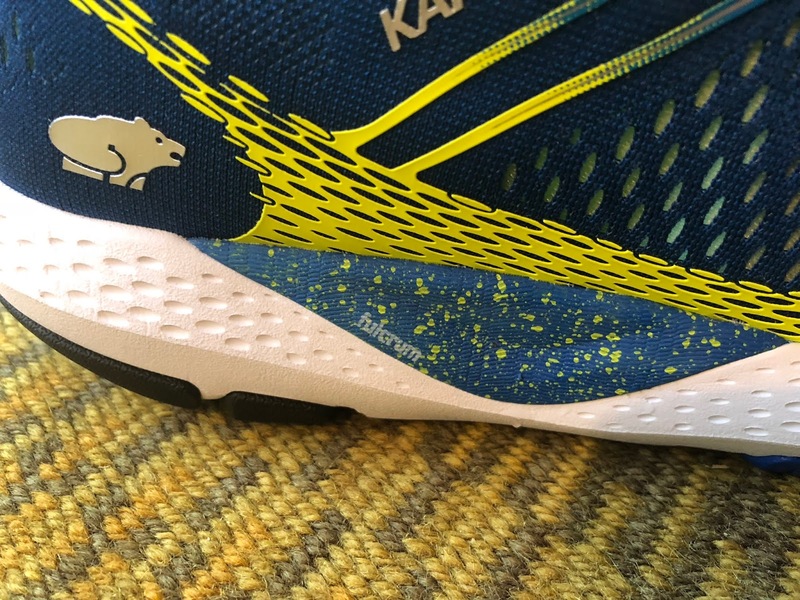 The elaborately named (and hard to remember) Ikoni Ortix from long time Finnish sports gear manufacturer Karhu (Finnish for Bear) is a truly memorable shoe, and the wonderful surprise of 2018 in the plush daily run trainer category. a very comfortable, easy fitting engineered mesh upper developed using data from over 1000,000 customer foot scans using Fit id 3D scans by exclusive US partner Fleet Feet Sports. The Ikoni has a soft engineered mesh upper with minimal overlays. The only overlays (yellow above and below) of significance are thin soft overlays at the toe bumper and along the rand, the lower sections where the upper meets the midsole. The fit is very generous all the way forward to just before the toe tip. The toe tip is pointier than I prefer but with the correct weight socks, lighter to medium, the fit is true to size for me. I had no issues with fit beyond it seems some slight slipping forward which I attribute to the lack of mid foot overlays, so a trade off between comfort, and it is for sure comfortable and easy fitting, and potential pressures on higher volume fit which quite frankly are unlikely in such a generous fit. This type of more "unstructured" upper might benefit from a bootie style tongue to midsole connection. While the top of the upper is essentially unstructured, the lower yellow overlays and due to the fact the foot actually sits down a ways below the edge of the blue mid foot Fulcrum all make the shoe and its upper stable and secure on straight ahead road running, but on uneven ground not so much where higher up the foot twists some as the terrain varies. While the under carriage would make a great trail shoe, the upper is resolutely road comfort focused and that's fine. The tongue is quite thick and softly padded. The laces are quite thin, narrow, and stretchy. A touch firmer stiffer material over lace up or maybe wider, thicker less stretchy laces would be a minor improvement to better lock down the foot without having to over cinch tightly on lower volume feet such as mine. The achilles hold appears narrow but it is very plushy and softly padded and has produced zero pressures and has a secure comfortable hold. The heel counter is moderately high, substantial but not completely rigid. The collar fabric is a touch slippery leading to very minor heel slip. The midsole is packed with effective technology and is very well integrated to produce an excellent ride for me. 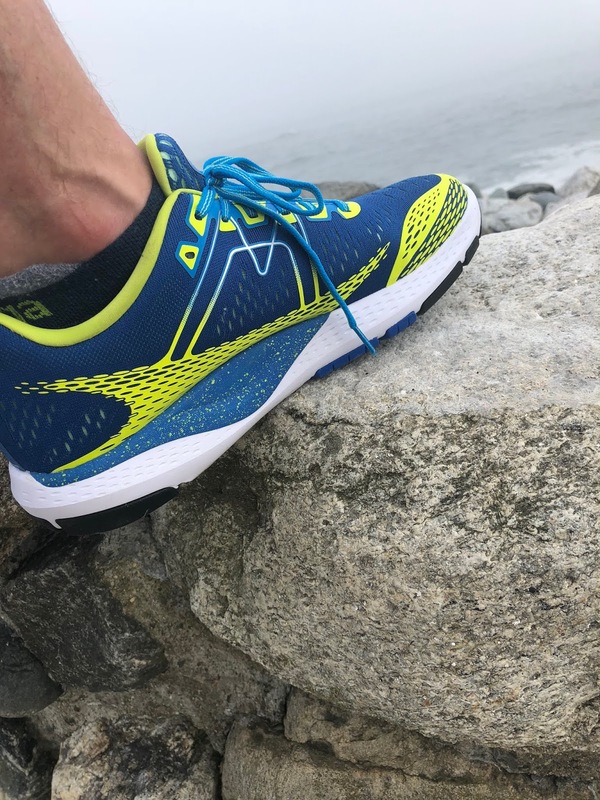 The midsole (and as always the outsole in the overall mix) delivers a very smooth and relatively dynamic any pace ride with energetic cushioning and a light touch of stability. Most of the white midsole is Karhu's Aero Foam. This injected blend of EVA and TPU has some bounce to it, I assume from the TPU and also from the fact it is injected which I find often leads to more bounce than compression molded midsoles. The TPU and I don't not how much is in the mix is a material that is more resilient over time and less sensitive to temperatures, so a more consistent feel. The midsole reminds of Brooks BiMoGo DNA with a touch of the bounce of adidas Boost but with less of a mushy feeling than Boost which has to be contained and controlled with all its Torsion plastic. 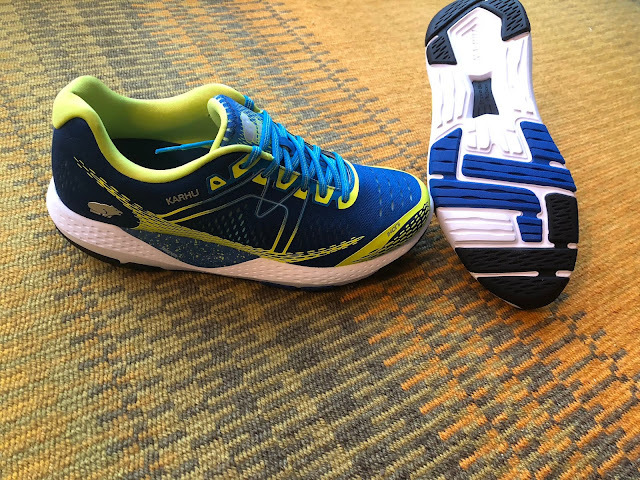 It is softer and more dynamic on the run than Saucony's Everun also a TPU foam as found in Triumph ISO 4, and clearly more fun and lively than New Balance's Fresh Foam in shoes such as the 1080. Of course midsole feel is strongly influenced by the outsole and here the outsole notably seems to stabilize the relative softness. The signature feature of Karhu running shoes is the Fulcrum. This firmer compressed blue EVA piece is scary looking, and while I have never run a Karhu a few years ago I tried one on and walked away. To much mid foot stability in the way for this fan of neutral shoes with a touch of stability in softer shoes. Not so in the Iknoi! Karhu says that the goal of the Fulcrum to provide a stable and balanced landing platform which provides transition through the gait. In my testing this is exactly what I felt. While I did feel some density there on try on and for the first few miles after about 10 miles Fulcrum was noticed no more, just some welcome directed support placing the Ikoni much more in the "guidance" category, very lightly guided than posted stability category, appearances aside. The Fulcrum of firmer EVA is asymmetrical extends around the heel on the medial side (photo above), again for a bit more guided support. 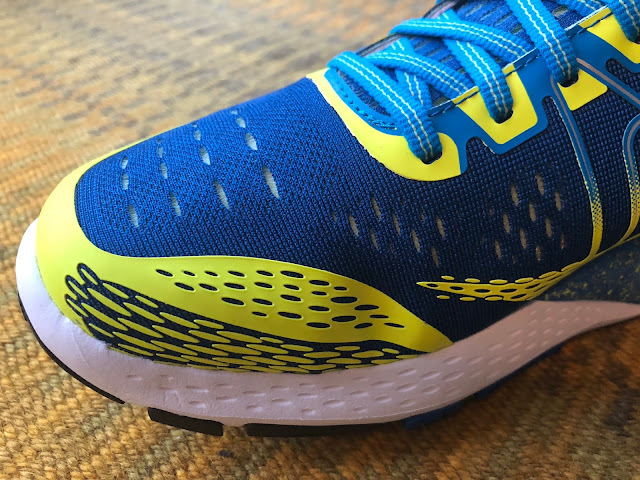 At mid foot, the Fulcrum extends further up on the medial side above what looks like a TPU foot bed above the Aero Foam sock liner than (photo above) creating a higher side wall to support the foot than on the lateral side (photo below) where Aero Foam extends from mid foot to the heel. But there is more, unseen, to the midsole construction. Karhu incorporates a nylon plate below the Fulcrum called the Propulsion Foil. In my testing I could clearly feel it working. Nothing explosive like the carbon plate in the Vaporfly but a distinct subtle sense that after landing, at any pace, of a springy feel with the shoe ready to transition forward. 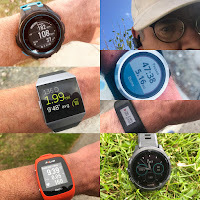 In combination with the Fulcrum, I found that I never had a sense of lingering at the heel, especially at slow paces, which has been an issue with most all of the plush heavier trainers such as Glycerin, adidas Energy, and even the firmer Saucony ISO Triumph. Closest to Ikoni in the general category might be the ASICS Nimbus or Nike Vomero in ability to move off the heel in the general category. And last, but not really possible to illustrate, the last under foot is not completely flat as in most shoes. It has a gentle anatomical curve with the shoe overall having a subtle curve rocker shape heel to toe, both elements to helping smooth transitions. This is called out as the Ortix part of the shoe name. The outsole has very thick firm durable black rubber at the heel, softer blue blown rubber forward and then more black firm rubber upfront. This appears to be a very durable high mileage outsole. Most interestingly, and somewhat unique in my experience, all that thick black heel rubber does not lead to a clumpy over firm landing feel, I assume due to the combination of softer Aero Foam, The Fulcrum and Propulsion Foil. Another big plus for the outsole, and of course outsole and midsole work in combination, unlike many such "big" plush trainers the Ikoni has an quite forward easy forefoot flex making toes offs very easy and smooth at all paces. There is no mistaking the Ikoni for what it is, a heavier daily trainer with lots of cushion and subtle, effective stability. It can certainly function as a neutral shoe as the Fulcrum is just not noticed after a few miles. It does run lighter than its weight. I ran them four days in a row and I am luck to have dozens of shoes to choose from, and always multiple pairs in testing, but reached for them day after day for mostly slower runs between 9:30 and just under 11 minutes per mile. The ride was stable, quite energetic, and during most of those runs at slower pace thy were fun to run, never labored and very easy on the legs. This is not a mushy soft ride and neither it is a lumpy brick like ride. The landings and transitions were consistent and I never felt I was dragging the shoe along, often the case for me in this type of trainer. 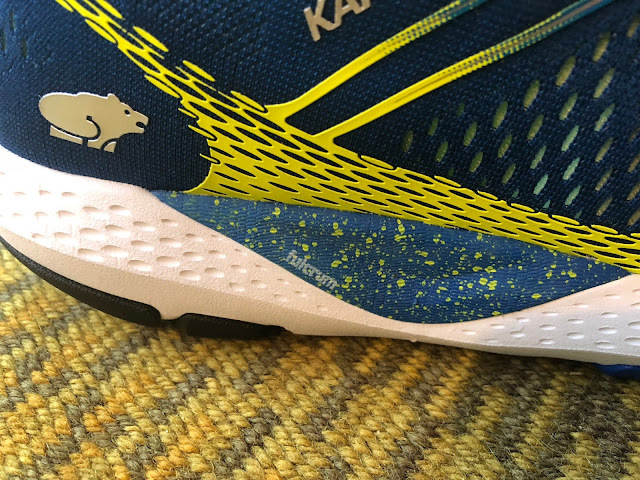 Karhu and partner Fleet Feet Sports have done an excellent job here by focusing on fit and the ride characteristics of the Ikoni. The EVA TPU blend cushioning and the outsole hits the sweet spot between overly soft and or bouncy and lumpy, heavy feeling as it has just enough bounce to go with a responsive feel from the outsole. The Fulcrum, Propulsion Foil, and Ortox shape all combine very effectively to provide light really not noticed foot guiding landing stability, smooth transitions, and an easy flexible toe off. The light upper is very comfortable and relatively unstructured. Its volume and slight stretch should accommodate many foot types but is a bit pointy up front and could use a bit more mid foot support to really lock down the foot. Heavier plush daily trainers are not the type of shoe I automatically reach for. I tend to prefer lighter trainers, yet the leg friendly easy to transition Ikoni has become a favorite. I can't wait for a lighter performance trainer version! If you are looking for a durable, well cushioned heavy duty daily trainer that is not a chore to run and is fairly priced compared to other premium rides the Ikoni is among the best if not the best such shoe I have run in recent years. -0.25 for weight but not sure what could be done given TPU is heavy and the white EVA plus dense Fulcrum EVA are not the lightest foams out there these days. -0.25 for a touch more upper support at mid foot, some thicker wider laces and a touch less slick achilles hold fabric. This shoe takes comfort a touch to far! The 1080's upper is more supportive if a bit less easy fitting and comfortable but gets a slight nod for its secure comfortable hold. Under foot, dense not particularly lively Fresh Foam is somewhat firmer than Aero Foam and in combination with the not particularly well segmented outsole makes the 1080 more of a chore to run in comparison to Ikoni, especially at slower paces. They weigh about the same. 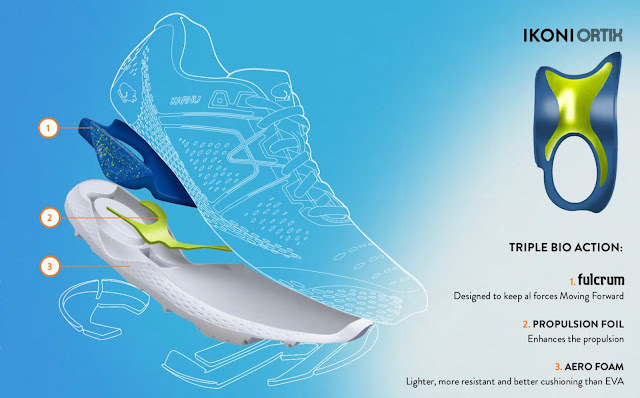 The heavier Triumph at 11.3 oz vs 10.8 oz for the Ikoni has a full Everun TPU midsole whereas the Ikoni has a blend of TPU and EVA. Interestingly I find the Ikoni blend more lively on the run. 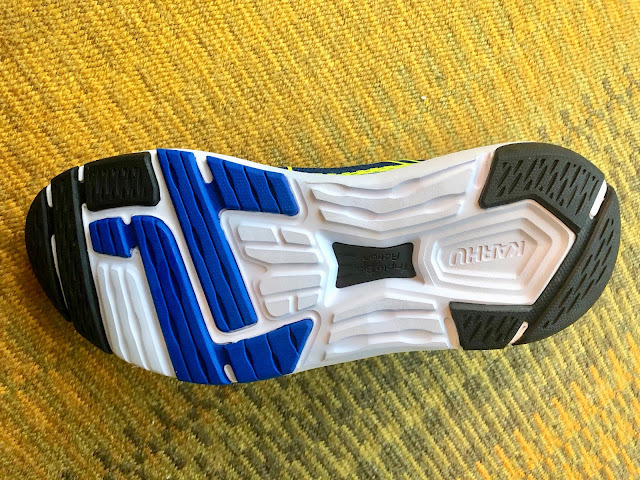 This could be due in part to differences in outsole design as the Triumph has a very extensive outsole with coverage at mid foot whereas Ikoni has exposed foam. The Fulcrum and Propulsion Foil in the Ikoni produces a clearly easier more dynamic transition from landings and its more flexible forefoot an easier toe off. 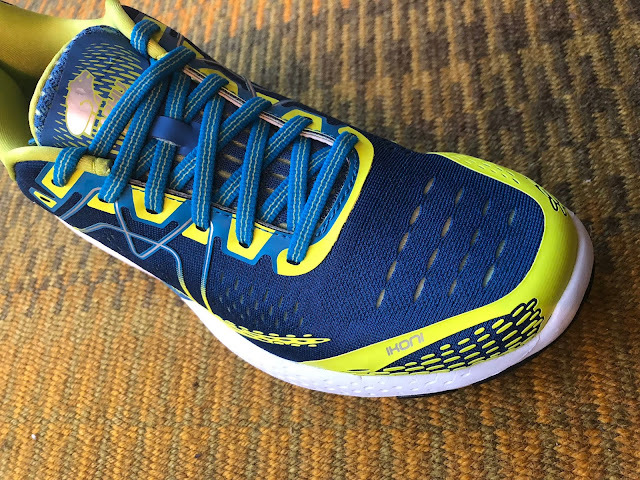 The Triumph's ISO upper is more supportive and comes close in comfort but not quite. At almost a full ounce heavier yet the Levitate 2 ride is pneumatic in feel, and quite unique as compared to the somewhat firmer yet bouncier Ikoni's. While the Ikoni's upper may be a bit "under built" the Levitate's while comfortable is overbuilt in my view especially the knit collar connecting to lace up. Both are stable with the Levitate ride more consistent overall in feel given its single density PU midsole but for my tastes not as efficient and is more lumbering as it lacks the Fulcrum and Propulsion Foil trips to stabilize, give some pop and ease transitions. Despite the additional weight and the more lumbering ride some runners may prefer the pneumatic feel of the Levitate which has it running lower than its weight but I prefer the Ikoni. I write from Spain and my english is not good enough, sorry. Throughout these last 10 years I have been testing several models of Karhu related to my career style (fulcrum fast 4, 5, forward, flow 6 IRE). I even had two pairs of the KARHU FAST 4. I also keep two pairs of the mythical XC fulcrum that I usually use for my long walks. And now finally the KARHU ORTIX FUSION MRE from the GOBA.IT store. 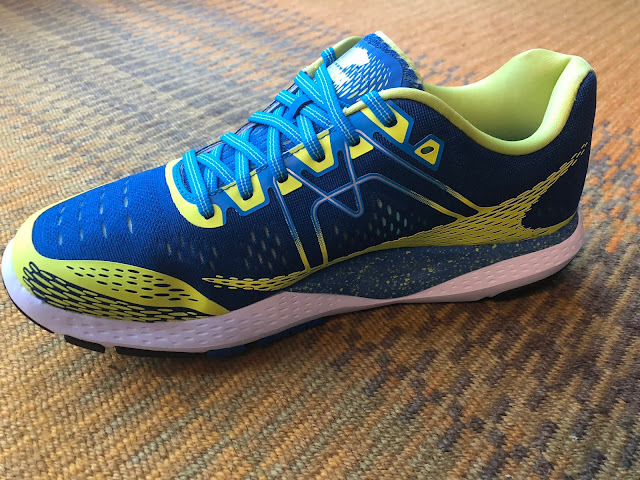 I expected a model very similar to the KARHU FAST 3 or 4, a very popular model thanks to the fulcrum effect or lever that helped to move forward and that after kilometers of running helped in the next stride despite increasing the heel derived from the fatigue of many kilometers of race (catapult effect). After many kilometers of racing with the KARHU ORTIX FUSION MRE I have seen how the FULCRUM or lever effect has been practically lost. I have meditated on it and tried to find the reason. I have seen that the "ortix arch" is included in the design of the midsole. This piece of the midsole with greater density seems to have an orifice designed to locate the calcaneus and facilitate a soft landing. However, it achieves that the heel itself falls more than advisable, sinking through the fluff. This effect prevents the heel area from having a firmer base or support that allows a faster foot transition, creating a somewhat confusing transition. This new model is very comfortable and despite describing a drop of 10 mm this seems to be very inferior, perhaps because of the amount of padding in each footprint. We greatly appreciate the inclusion of a FOOTBED similar to PU that some brands already have in their midsole as it provides comfort in the metatarsus and toes. I notice that the lateral fastening could be simplified with some cables (as in the KARHU FLOW5 model) thus gaining lightness instead of the plastic side pieces. The ventilation is correct. I reiterate to you that it is a pity that the lever effect or fulcrum in a model of Karhu has been lost. 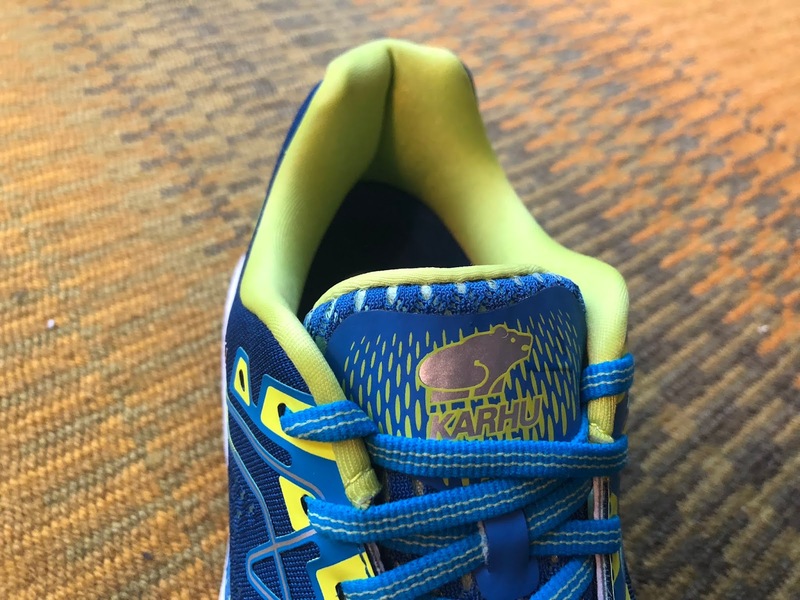 On the contrary, there are brands that are trying to replicate it by including pieces that allow forward momentum and not upwards, innovation in which Karhu pioneered. I am writing this email with the hope that in future models I can have the authentic FULCRUM effect at my fingertips. For me to date the best model that I could prove and differentiating the rest was the KARHU FAST4. News:In these moments and after almost a month of activity in these shoes I have had to put them aside, I have diagnosed mild fasciitis. I have doubts but it turns out that it is the only sneaker I have used in August and part of September. I believe that the orix of the ortix arch has something to do when descending the area of the calcaneus towards a more cushioned zone being able to compromise the fascia. I hope they eliminate that hole that was never before. 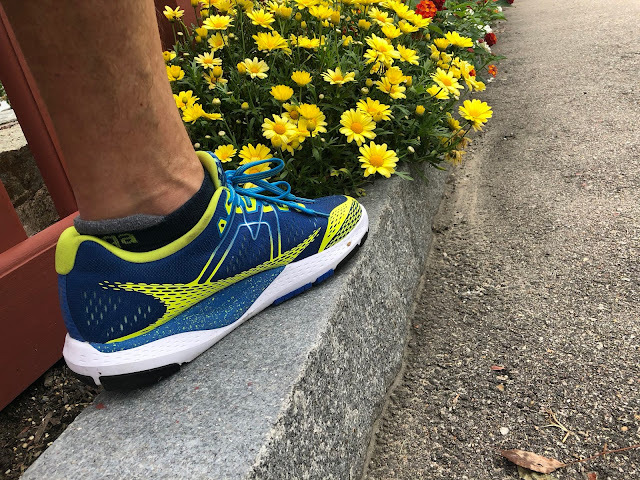 Hey Big Bang - I've worn the Fast (not for a couple generations) and worn around the Ortix enough to get a feel for it, and I agree - sort of a different (non-traditional-Karhu) feel, especially in the mid-foot. 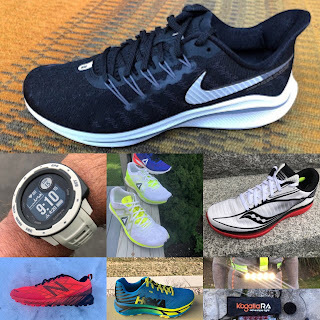 The combinations of the built-up shoe (it's sort of a chunky piece) and the 10mm stack height does make it a little tougher to find that forefoot strike. Have you tried the new Fast7? 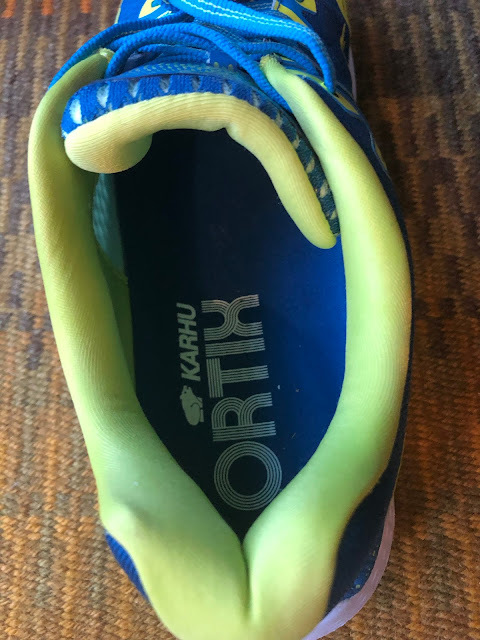 I want to make clear the great brand reputation of Karhu, a brand without which I would not have learned to run with an appropriate posture and correct my hamstring problems with the nike lunarglide 3. 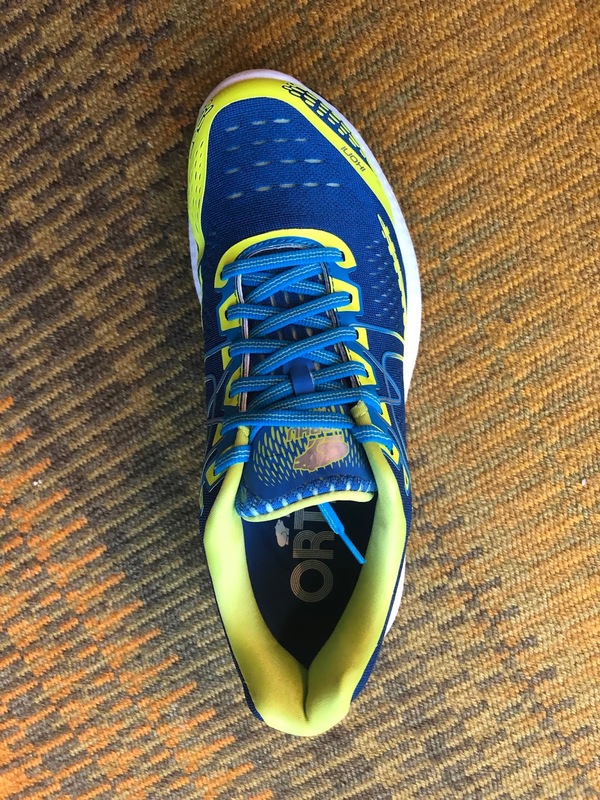 What happens is that the fulcrum piece is no longer the same and presses the middle arch of the foot upwards (mid strike shoe) leaving the heel somewhat sunken thanks to the hole (I think that is what presses the fascia in excess). It's a shame because the forefoot has a nice feeling thanks to the TOPSOLE made of TPU. Michael, I also provided the karhu fast 5 which is similar to the fast 7. It is a shoe to train very calm but without sensations. since prolonging the fulcrum to the forefoot eliminates the leverage effect. I have it clear; The original fulcrum is fundamental. Remember the principle of Archimedes; give me a point of support and I will move the world. What bothers me in a way is having paid more than 120 usd and not being able to use it again based on my well-founded suspicions. Tried on a pair of the Ikoni Ortix yesterday and was impressed with the immediate comfort. However, I had a similar initial feel for the Hoka Bondi, but that turned out to be a disaster, leading to stress fractures in both tibias. I’m doing well in the NB 1080s, but the Ikoni review tells me they would be better for me as my pace range of 9:15 - 10:45 fits well with what you wrote. How would you compare the Ikoni to the Hoka Bondi? And finally, any plans for other colors in the Ikoni? Not a huge fan of the blue and yellow. Sorry about those stress fractures. I got one a long time ago and as with most such injuries the cause for me was a rapid change in terrain from all snow running to fast hilly pavement. They can also be caused by a rapid change in intensity or volume. Any of that in the lead up to yours? All of this said the Bondi is incredibly stiff and relies on the rocker to move you along and this might have caused stress. The Ikoni has a distinct forward flex point which is a big difference. As far as the colors (of Sweden!) I will try to find out. As you mention NB 1080 the new v9 is sensational and a big upgrade. Not as stiff and cumbersome as prior. We have a review at the link below. Thanks for the quick response. My orthopedist and a childhood friend who is in Rehab medicine (both runners), plus the manager at a Fleet Feet location in NC all attributed (at least in part) the stress fractures to the change in shoes. The 8mm drop in my old Saucony Triumph to the Hoka’s 4mm drop, plus not wearing the Superfeet in the Hoka that I wore in the Saucony all contributed to less support, which led to the fractures. The 1080 drop of 8mm plus the Superfeet insert got me back on track. Now I’m looking for something a bit better, and the Ikoni seems to fit the bill.